CVS Health's fourth-quarter earnings nearly doubled, fueled by a $1.5 billion tax benefit that will help the drugstore chain expand its growing role in customer care. It also will pump more money into data analytics. This technology can help the company track prescription drug use or monitor data like blood tests to determine if a patient's health or a condition is growing worse. That can cut healthcare costs by helping pharmacists or other care providers intervene before a big medical expense like a hospital stay hits. The potential for greater data use is a big reason CVS said in December it would buy Aetna Inc., which covers more than 22 million people as the nation's third-largest health insurer. Company leaders envision turning the chain's 9,800 stores into a one-stop-shop for healthcare, a place where patients can get their vision tested, their blood sugar monitored and also see a nurse practitioner and fill a prescription. The CVS-Aetna combination can then use the information it gets from all these visits to guide care and keep customers coming back. The help slated for data analytics is the "most exciting investment" CVS will make from its tax-cut windfall, said Neil Saunders, an analyst for GlobalData Retail. "We believe that this, along with more health services in stores, will give CVS a much more significant role in the (healthcare) sector," he said in a research note. CVS also announced Thursday that it was raising its starting wage for hourly workers to $11 an hour from $9. It will not increase health insurance premiums for the 2018-2019 plan year, and it will start a parental leave program that gives full-time employees with a new baby four weeks off at full pay. 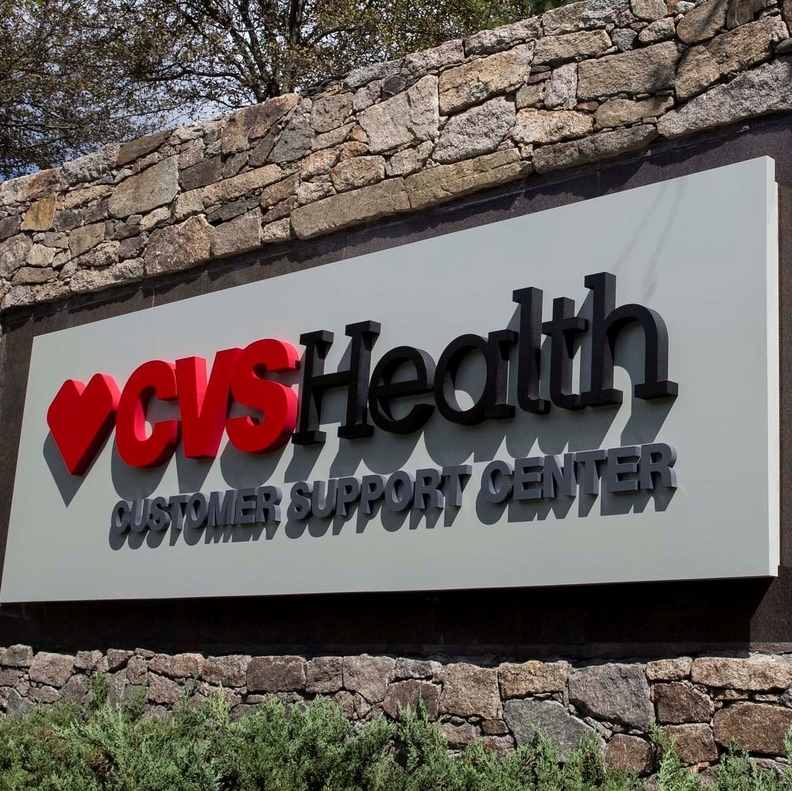 CVS Health runs the nation's second-largest drugstore chain and also processes more than a billion prescriptions annually as a pharmacy benefit manager, or PBM. In the fourth quarter, the company earned $3.29 billion. Results adjusted to exclude the tax break totaled $1.92 per share. Revenue climbed 5% to $48.38 billion. The company's PBM side, which processes prescription claims for insurers, large employers and other clients, saw revenue increase more than 9% to $34.2 billion in the fourth quarter. Meanwhile, revenue from the business segment largely made of drugstores came in nearly flat at around $21 billion. Overall sales from established stores also were flat and fell in the front end, or the area outside the store pharmacies. That's an important metric because it excludes the impact of stores that have opened or closed recently. Shares of Woonsocket, Rhode Island-based CVS Health Corp. slumped nearly 3%, or $2.03, to $72.32 in afternoon trading on another down day for broader indexes Thursday.